Apple will introduce a smaller iPad in two weeks, and if it holds to past practice, will start selling the new tablet in early November, according to a report today. Apple will introduce a iPad mini in two weeks, and if it holds to past practice, will start selling the new tablet in early November, according to a report today. "That's more than enough time to make the holiday sales season," said Stephen Baker, a retail analyst with the NPD Group. Today's rumor -- and plainly stated as such -- first surfaced in Philip Elmer-DeWitt's column in Fortune. Citing a source described as a "major Apple investor," Elmer-DeWitt said that invitations to an iPad Mini launch event would go out Oct. 10, suggesting an Oct. 17 date for the event and a Nov. 2 on-sale debut. The Oct. 17 and Nov. 2 dates were predicated on past practice by Apple, which several times has issued invitations one week, held the ensuing event in the middle of the next week, then started selling the new product the Friday of the week after that. Apple used that timeline last month when on Sept. 4 it invited reporters and analysts to a Sept. 12 function that introduced the iPhone 5; the smartphone hit retail and pre-orders began reaching buyers on Sept. 21. "That timing is fine for the holidays," said Brian White, an analyst with Topeka Capital Markets. "And the timing is within the ballpark that people were thinking." Ezra Gottheil, of Technology Business Research, agreed -- but only up to a point. "I think that's late, but not terribly late," Gottheil said of the projected Nov. 2 sale date. "Ideally, you'd like to have a product in place for at least a quarter prior, so that you can tap people who are making decisions long before they buy." Even so, Gottheil said a Nov. 2 start-of-sales obviously beats the traditional holiday season opening in the U.S. of Thanksgiving weekend. "Even if you were a little bit later, you'd probably get the majority of potential buyers," he said. "But remember, there are lots of alternatives, like the Kindle Fires and the Barnes & Noble Nooks." White countered, noting that a Nov. 2 sale date for a smaller iPad would trump the $299 to $499 8.9-in. Kindle Fire HD, which won't ship until Nov. 20. An iPad mini -- as most have tagged a long-rumored Apple tablet with a 7.85-in. screen -- will have an immediate impact on Apple's sales and those of its rivals, as well as on the Cupertino, Calif. company's tablet market share, analysts have said previously. They repeated those predictions today. "[A 'Mini'] will be pretty big..., huge," said White. 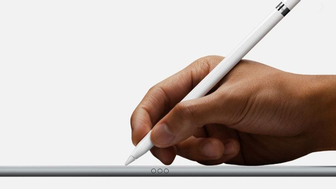 "Eventually, it will be bigger than the [traditional] iPad market." Gottheil argued that Apple could wage a "Just Buy Two" campaign for a scaled-down iPad, which most experts expect to come with a price tag of $250 to $300. "The smaller form factor is preferable in some situations," Gottheil said, of the inevitable comparisons that will be made with the original iPad if a Mini shows up. Carolina Milanesi, a research analyst and vice president with Gartner, echoed that. "Despite what Jobs initially said about the 7-in. 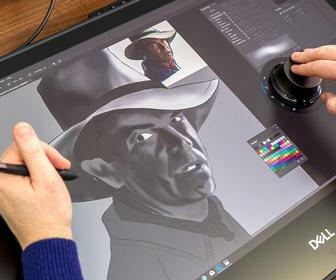 form factor, I think it is clear now that there are two types of tablets: one for consumption and one for consumption and creation," said Milanesi. "Will this broaden Apple's market share? Absolutely," said Gottheil. "Will they do a 'Mini? That's absolutely true. No one, not even Apple, can afford to produce only the highest-priced product. They've shown that with the way they're pricing the iPhone and iPad, they're willing to follow the price curve down." Gottheil was referring to Apple's now-standard practice of retaining two older iPhone models when it launches a new smartphone, with prices discounted by half and reduced to zero for the second- and third-oldest models, respectively. Apple followed suit last March when it retained the iPad 2 at $399 as it launched a new higher-resolution tablet at the usual $499 entry-level price point. A new, smaller iPad does, of course, bring up concerns of cannibalization -- buyers who purchase the less-expensive Mini in lieu of the full-figured iPad -- but most analysts contacted today discounted the threat to Apple's revenue. White estimated that a Mini would cannibalize 10% to 20% of iPad unit sales, meaning that one or two out of every ten committed iPad buyers would pick a cheaper Mini instead. "Actually, that's not that high [a cannibalization rate]," argued White. "And a lot of people will own both." He also repeated earlier assertions that a smaller, lower-priced iPad Mini would sell well to education, in developing markets, and in China, where for all Apple's cachet, White has seen relatively few iPads during his regular trips there. "There will be some percentage of the likely buyers who will say, 'This [iPad Mini] will do,'" said Gottheil. "But there will be others who will say, 'I'll get two.'" If Apple does debut an iPad Mini this month, some analysts have bet that it will only tighten the screws on competitors. Last July, for example, IDC predicted that a Mini-armed Apple would keeps its share of the tablet market above the 60% bar for the foreseeable future. "From a corporate priority standpoint, I'd think that their top [priority] is to destroy the competition in the tablet market," said Baker. "And [an iPad Mini] is an important part of that."